White South African writers who create black characters are often challenged about the authenticity of their writing. If their main protagonist is black, this challenge intensifies, and if they write in the first person, it intensifies further. There is something particularly intimate about first-person narrative. It gets under the skin of the character in a way that third-person seldom achieves. When white writers are questioned about this issue, their reactions range from the exasperated to the downright tetchy. Why is this tired old issue being raised again, they seem to wonder. Has it not already been answered a thousand different times in a thousand different ways? But the question won’t lie down and die. The standard liberal response is that fiction by its very nature is an exercise of the imagination. Writers make imaginative leaps all the time to create the characters they populate their fictional worlds with. Some would argue that gender is actually a greater gap to cross than race, but no one ever criticises male writers for creating female characters, or vice versa. Taking this prohibition to its natural conclusion, no writer would ever be permitted to create a character outside of his or her precise social, political, racial, cultural, economic, religious, and gender circumstances. This would obviously be undesirable, and lead to boring, one-dimensional books. Therefore writers should be left in peace to create whatever characters they like. This argument is in many ways irrefutable. Yet the uncomfortable suspicion remains that for a white South African writer to create a black, first-person protagonist is somehow inauthentic — a form of literary blackface. 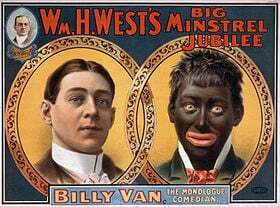 Blackface is a term originating from the days of minstrel shows when white performers would blacken their faces with burnt cork to play African-American music. Today it is used as a kind of shorthand to refer to cultural appropriation of the most offensive and artificial kind. Black stories are best told by black writers — this needs to be said. Whites already dominate nearly every aspect of South African cultural life, so for them to be putting words into the mouths of black characters seems like an act of arrogance. It’s worth turning to the US for guidance in this regard since they are further along the road to normalising race relations than we are. Their civil rights movement happened in the 1960s, which gives them a 25 year head start on getting over institutionalised apartheid. In the first half of the 20th century, some of the greatest American writers created memorable black characters. Herman Melville, Harriet Beecher Stowe, Mark Twain, William Faulkner, and Harper Lee come to mind. Then the Black Consciousness movement rose to prominence and white writers were severely caned by the critics for attempting to speak in black voices. For two or three decades, very few of them tried again. More recently, it has become acceptable for white artists to depict blackness again, as novels like The Help and films like Django Unchained demonstrate. Kathryn Stockett and Quentin Tarantino hardly got off scot-free for their presumption, however, but the public outcry was more muted. The trouble with giving white writers a free pass to ignore blackness forever is that they would be far too apt to take it, as Slate journalist Tanner Colby has pointed out. It’s much easier for them to stay safely on their side of the cultural divide. Less research is needed, and considerably less imaginative effort. It can’t be healthy for writers never to venture outside their comfort zones and that is certainly no way to build a vigorous local literary tradition. The message to South African writers seems to be to write what they like, but to do it mindfully, to do their homework, and to accept that the critics will probably have a go at them for it anyway. Black consciousness and Nazism, really?